Rain put a damper on field work Wednesday for a SSERVI research project. But once the sky cleared in the afternoon, Scott Hughes — a professor emeritus at Idaho State University — headed out with his team. 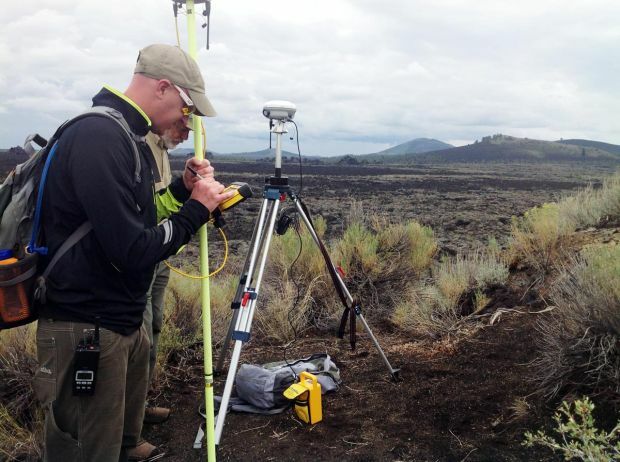 As tourists at Craters of the Moon National Monument and Preserve gazed down at lava rocks from a lookout point, Hughes was setting up GPS equipment. Soon after, he was measuring height and texture differences in lava flows. 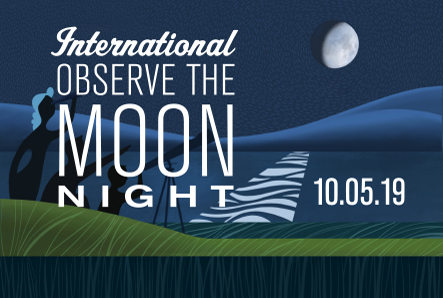 Craters of the Moon’s landscape is similar to the moon, so it’s valuable information for scientists. “We’re very interested in some of the features here in the park,” Brent Garry, from NASA’s Goddard Spaceflight Center, told park visitors during a presentation. The FINESSE volcanic research team’s first round of research started July 29 and ends Friday. They’re doing research to prepare for human and robotic exploration of the moon, Mars’ moons Phobos and Deimos and near-Earth asteroids. It’s the first phase of a five-year project at Craters of the Moon. Over the years, a series of research projects have been conducted at the national monument. “NASA has been involved with the park since the very beginning,” said Ted Stout, chief of interpretation and education. And back in the 1960s and 70s, astronauts even came to Craters of the Moon to experience a landscape similar to what they would encounter on the moon. 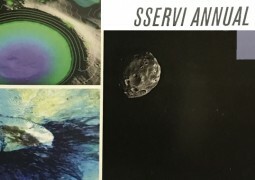 The FINESSE team — which stands for Field Investigations to Enable Solar System Science and Exploration — is led by NASA’s Ames Research Center in Moffett Field, Calif.
They’re studying the formation of volcanoes and lava flows, evolution of magma chambers and entrapment of volatile chemicals. Through field science, NASA can figure out how to optimize work on the moon, Garry said. More than 20 park visitors — coming from as far away as Connecticut and Florida — attended a presentation Wednesday by members of the NASA research team. Coming to Craters of the Moon is as close as you can get to walking on the moon, Garry told the audience. He showed side-by-side photos of craters — one in an area of the moon called Marius Hill and another at Craters of the Moon. The difference: The moon’s craters are much larger than those found here on Earth. Garry demonstrated two pieces of GPS equipment researchers use out in the field. He asked an audience member — 10-year-old Liam Whittel — to help him out. Researchers are aiming to get information they can compare with radar data of the moon and Mars. They’re also using unmanned aerial vehicle — more commonly known as drones — for imaging surveys. This 2 minute video records select UAV flights & data collected in Idaho by NASA KSC Co-Investigators Mike Downs et al. NASA’s research team includes two Idaho State University professors — Hughes and geosciences professor Shannon Kobs-Nawotniak. The project is also a huge opportunity for ISU students to gain hands-on experience out in the field, Nawotniak said. Teachers are also doing field work alongside NASA scientists, thanks to a collaboration with the Idaho Space Grant Consortium. Jeff Karlin, a science teacher at Lewiston High School, is among the NASA research team members. He teaches physics, marine biology and zoology at Lewiston High, well as a dual-credit astronomy class through Lewis-Clark State College. Karlin said he has had the opportunity to “hang out with the rock stars of science” and get the latest scientific information. “What I’m able to do is ask them questions,“ he said.